Jack Hickman Real Estate, a locally owned and operated family business, has been serving real estate and vacation rental customers for over 35 years. Founded and established by Jack Hickman, a noted local custom home builder and entrepreneur in the 1970's, the company remains under the management of the Hickman family offering real estate services in Bethany Beach, South Bethany, Middlesex Beach, North Bethany, Fenwick Island and the surrounding coastal communities of Ocean View, Millville, Selbyville, Frankford and Dagsboro. 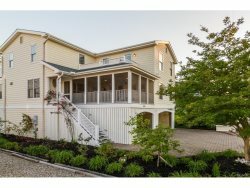 Whether you are searching for the perfect lot upon which to build your dream home, are in the market to purchase a property for investment, retirement, year round living or are searching for a relaxing Bethany Beach vacation rental getaway, our experienced sales and rental agents are ready to assist you. If you are looking for a vacation rental in our area, we can recommend the ideal property to match your traveling needs and budget, as well as, suggest activities and restaurants that you will enjoy. Our warm hospitality starts with your initial contact with us and extends throughout your vacation to make it memorable - to keep you coming back to our area in future years. If you would like to get information on a rental listing, you can contact our Rental Department.